If you are firmly against abortion or even on the fence about it depending upon circumstances, you cannot see the issue the same way after watching this film. It shakes your soul to the core and leaves you wondering how we as human beings have come to this place. Based on the book by the same name, this film retells the true story of Abby Johnson, the Planned Parenthood director become pro-life advocate. 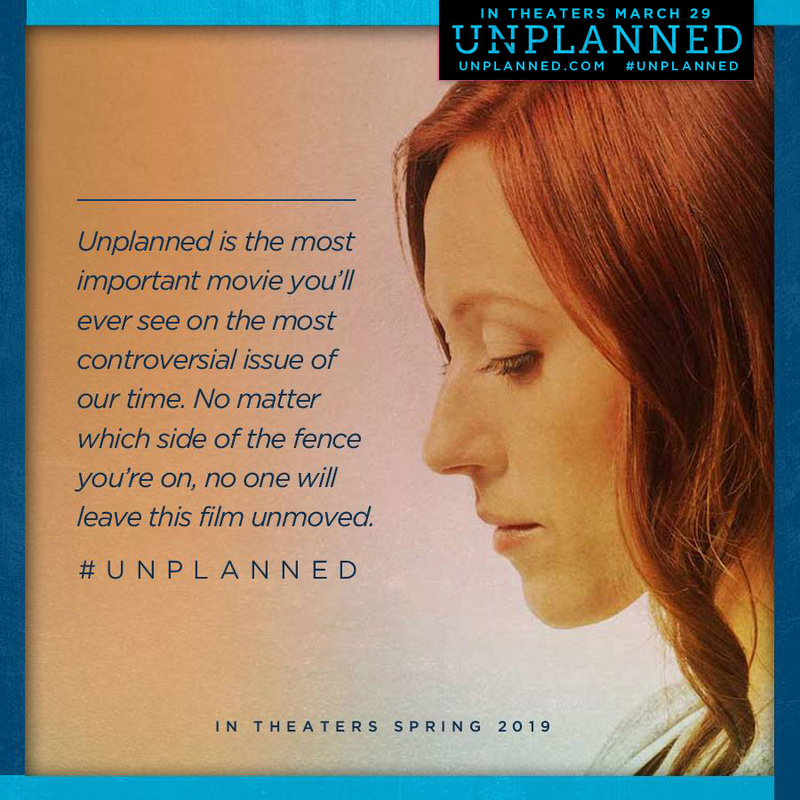 Writers and directors, Cary Solomon and Chuck Konzelman (God’s Not Dead, God’s Not Dead 2) believe that this film tells it like it is because it shares the reality of Planned Parenthood from the inside. It is an emotionally charged film that begs the viewer to take a stand and as Solomon says, “You now cannot say you don’t know.” Exposing the abortion industry for what it really is speaks the truth in a way that is subtle yet convincing. 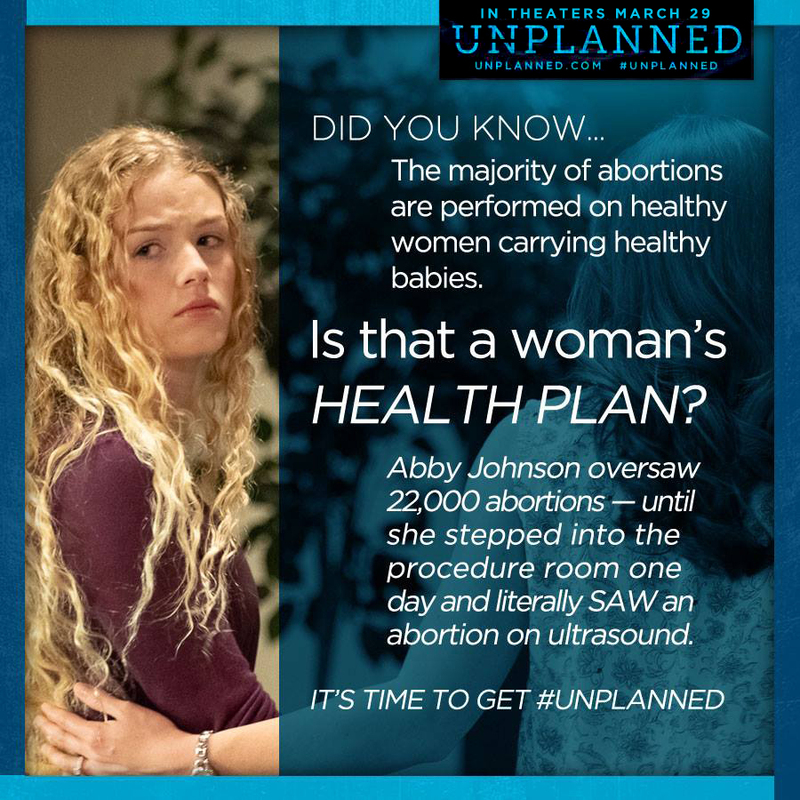 Abby, portrayed by the convincing Ashley Bratcher, is a young college student at Texas A&M when she first encounters Planned Parenthood at a career fair. Though her family has always been pro-life, Abby feels compelled to help women especially in times of crisis. She begins to volunteer at the clinic. She gets involved in a relationship while in college and finds herself pregnant. Her boyfriend insists she get an abortion. After that experience, everything goes downhill. Abby ends up marrying her boyfriend but it proves to be a failed attempt at relationship. They divorce in one year’s time, but Abby discovers she’s pregnant again. She goes to the clinic where she has been volunteering and receives the medicine for a chemically induced abortion. After twelve tortuous hours and a bloody bathroom scene that prompts the MPAA R rating, she aborts her baby but remains in utter pain for eight weeks. After phoning in complaints to the clinic she is basically ignored. The beginning of all the lies told to her at Planned Parenthood. After two abortions she is determined to help women who find themselves in compromised positions. She meets her future husband, Doug (Brooks Ryan), and climbs the ranks at the clinic to the point of becoming its director. Her parents and her husband do not like her choice of career but they respect her and love her deeply even though they do not agree with her stance on reproductive rights and abortion. Doug is the epitome of a loving and gentle husband waiting patiently for his wife to see more deeply into the lies and contradictions that are fed society through pro-choice advocates. Even after they have a daughter, Abby still is convinced she can make a difference in women’s lives. One of the most jarring scenes for me is when Abby is pregnant with her daughter and the workers at the clinic throw a Baby Shower party for her one day after closing hours. They all celebrate her baby while working in a place where babies are destroyed. It’s so ironic and yet they partied as if they did not or chose not to see the utter contradiction in their actions. It made me wonder how much we simply do not think logically as a society. Rationalization is the modus operandi. I felt sad at this realization. But at the same time, hopeful that once people really see the logical conclusion to their actions, their eyes may be opened and their hearts changed. This is exactly what happened to Abby. It is at this time, when corporate honors Abby as director of the year for consistently meeting her quotas, that they reveal that Planned Parenthood, regardless of what their brochures say, is really only about providing abortions. It is their “fries and coke,” says Cheryl (Robia Scott), Abby’s boss. Abby protests and says that they are not only about offering abortions but reproductive services and counseling. She is publically silenced and formally reprimanded. The truth of Planned Parenthood’s greed becomes evident. It is only when Abby, as clinic director and counselor, is called into the procedure room to assist with an ultrasound abortion that she realizes what is really happening. She sees the baby in the womb physically try to run away from the doctor’s suction tool. In a rather bloody and graphic scene Abby decidedly makes the break. All the while, outside the fence at Planned Parenthood is Shawn (Jared Lotz) and Marilisa (Emma Elle Roberts) and other pro-life advocates from 40 Days for Life who pray and gently share with the women entering the clinic their promise of assistance and support if they would reconsider their options. They have gotten to know Abby over the eight years she was at that clinic, usually telling them to back off away from her patients. Yet, here she is now asking for their help to get out. She radically and decisively saw all the lies of Planned Parenthood in an instant. Her break from the company creates crisis and legal backlash. When Shawn and Abby are sued by Planned Parenthood they obtain a lawyer named Jeff (Kaiser Johnson) whose face is all over town on the billboards with him pointing saying, “You’ll get what you deserve.” This lighthearted, quirky character adds tremendous comic relief to an emotionally charged film. The theater let out uproarious laughter at his perfectly timed lines after he won their case in court and sees Cheryl from Planned Parenthood delivering his famous saying, “You got what you deserved.” It gave a moment of utter hope in a story that seemed heavy with sadness. And the story still continues. Abby has founded an organization that helps Planned Parenthood workers to leave the industry and find other jobs, up to over 500 nationwide. And, the amazing part of the whole story is that the clinic where she used to work closed down, showing that a community of caring people can be of greater assistance to women in crisis pregnancies than any abortion provider. Since this is based on Abby’s true story, the plot continues. This film is just the beginning. As Solomon and Konzelman say, “You cannot leave this film unchanged.” And truly that is so. I hope everyone sees this film, especially those who are nominally pro-choice or pro-life. You cannot remain the same after seeing the reality from the inside of the abortion industry. It is not glamorous. It is not about helping women. It is about killing babies. Abby is a Catholic woman of tremendous faith. She not only suffered the loss of her own two babies sacrificed to the altar of convenience through abortion, but also the 22,000 abortions she helped make happen. Without her faith and conviction about the merciful love of God, she cannot help the thousands of others who find themselves trapped by the culture’s misconceptions. Her faith gives others hope. This film, I pray, has that effect upon the thousands who will experience the power of this story. No one can leave the theater unchanged. It only challenges us to go forth and be witnesses to the beauty and goodness of life, in all it stages. Go and see this film. Bring friends and relatives along so that the honest conversations can take place and we can change the culture one life at a time.